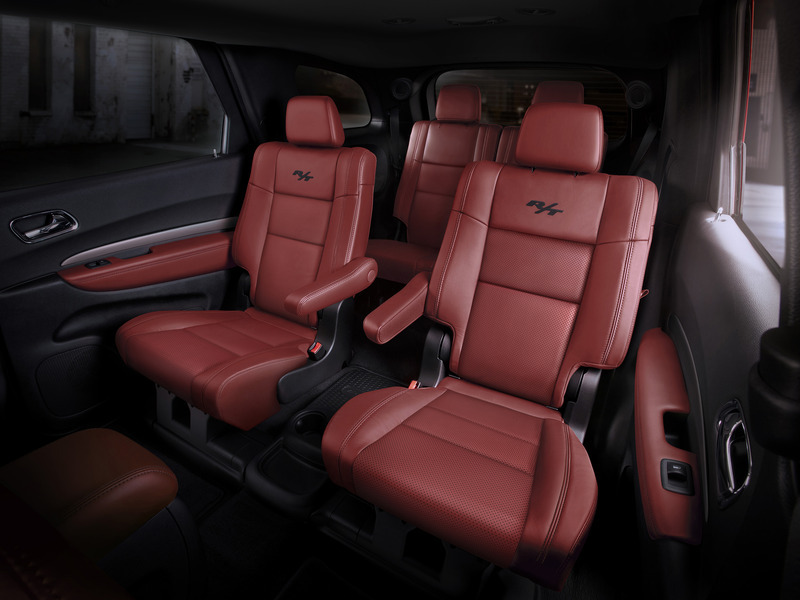 The Dodge Durango has some of the best captain's chairs in the business. Three-row SUVs and crossovers are one of the most popular vehicles types out there right now. It makes sense. You get a vehicle that drives well, can tow light trailers, has a versatile and often quite large cargo area, and plenty of seating. When it comes to seating there are often a few different configurations. One of the best is a seating configuration that includes second-row captain’s chairs. Here are some reasons why. One of the biggest advantages of second-row captain’s chairs is that they provide easy access to the third row, as shown in the photo above of the Honda Pilot. Unlike with a second-row bench seat, you can easily move the captain’s chairs out of the way in order to get to the third row of seats. Also, there’s often an open space between the two seats that you can slip through if you don’t want to move the seat out of the way. The Dodge Durango is a perfect example of a vehicle that utilizes second-row captain’s chairs to make third-row seating easily accessible. We reviewed the model and found that moving its seats out of the way to get to the third row was quick and simple. The Durango isn’t the only three-row SUV like this either. In fact, most three-row vehicles that offer second-row captain’s chairs provide similar access. We know that a bench seat adds a seat to the configuration, but it does so at the cost of comfort. That’s not to say that all bench seats are uncomfortable, but there are few who would rather sit on a bench seat than a captain’s chair. The captain’s chair typically offers better support and individual armrests that can make you feel like a wealthy man or woman being chauffeured around in comfort. The Volkswagen Atlas (shown above) is an example of a vehicle with very comfy second-row captain's chairs. It’s the captain’s chair’s overall design that makes them so comfortable. With this type of seating, you get a seat that only has to accommodate one person. The bench seat is inherently designed to be for more people meaning there will be compromises when it comes to bolstering and armrests. One of the nicest things about second-row captain’s chairs is that they work great for families who have kids in car seats. Most of the time if you have a second-row bench seat and car seats you have bit of a problem any time you want to get to the third row. With captain’s chairs, you can often slide the second-row seat out of the way with the car seat in place to access the third row. The Chevrolet Traverse (pictured above) for example features a smart slide function that allows you to slide the seat up with or without a child seat installed. There are a few vehicles out there that offer bench seats with this capability, too. The Nissan Pathfinder and the Infiniti QX60, for instance, offer second-row bench seats that can slide up for easy access to the third row with a front facing child seat still in place, according to Cars.com. It’s one of the few vehicles with the feature.